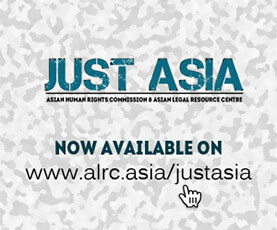 Torture and ill-treatment are endemic to almost all Asian countries. Based on the structural reasons for torture, one may state that torture and illtreatment are common features of less developed countries. However, these very structural aspects of torture are missing from the discourse on torture prevention within the human rights community. Very often, the differences in the factors that cause torture in developed countries and less developed countries are glossed over in the discourse on human rights. This publication addresses the practice of torture in Bangladesh, Burma, Indonesia, India, Nepal, Pakistan, the Philippines, Sri Lanka, and Thailand. In all of these countries, the criminal justice system remains at a nascent, underdeveloped stage. The institutions dealing with criminal justice, i.e. the police with their investigative functions, various agencies concerned with prosecutions, and judicial institutions, are sub-standard when compared to similar institutions in developed countries. There are various reasons for this. These include historical and political aspects, issues related to the allocation of budgetary resources, as well as the availability of human resources. Cultural factors, such as diverse philosophical positions relating to justice, are also contributory factors for the slower development of these institutions. The structural condition of the criminal justice system is the most important reason for torture being the substantial problem that it is today, one that continues to be practiced and tolerated by the aforementioned institutions. Within the criminal justice structure in all these countries, the police overwhelmingly play the most important role. From the point of view of power, the policing institution has been given the primary place, and the prosecutorial branches and the judiciary hold only a secondary place. The direct result of this hierarchy is that neither the prosecutorial branches nor the judicial branches are capable of exercising significant control over the behaviour of the police. This means that the capacity of the prosecutorial branches and the judiciary to play a role in preventing torture by the police is negligible. Instead, the prosecutorial branches and judiciary often tolerate the use of torture and ill-treatment by the police. This tolerance is reflected by the willingness of prosecutors to rely on evidence collected by the police, despite the knowledge that, in the usual course of business, the police use torture and ill-treatment to obtain confessions. The same can be said of the judiciary. Both the prosecutorial branches and the judiciary may exclude evidence obtained by torture, though only in cases where glaring forms of torture have been exposed. Such instances are few and far between for many reasons. In most instances, victims do not dare to register complaints or publicise their experiences of torture suffered at the hands of the police. Due to the absence of witness protection laws and programmes, a person who makes a complaint against the police runs the risk of being exposed to serious retaliatory actions by the police. The possibility of such adverse consequences is common knowledge and prevents people from taking action. In rare instances, either due to the courage of the victims or due to other factors like intervention by journalists or human rights activists, the prosecutorial branches and the judiciary are forced to confront the issue in particular cases. However, such rare interventions do not contribute much to a change in the attitude of the public or the alteration of habits formed and generated through ingrained fear and intimidation. There have also been severe retaliations, including assassinations, against victims that have pushed forward with their complaints. Prosecutorial branches and the judiciary, like other government agencies, depend heavily on the police to function. This may also be a reason for their unwillingness to deal with any wrongdoings by the police.